Today I'm on the hunt for pink baby accessories! Pink is such a tricky color - everything out there is too bright or too loud and I'm looking for something soft and neutral. 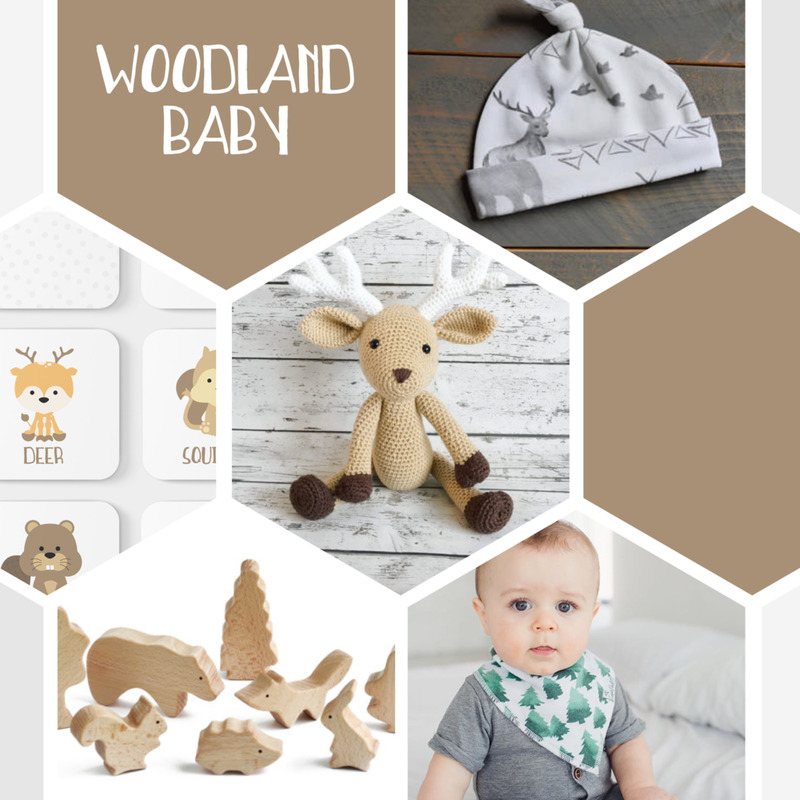 On my hunt, I found these 5 adorable baby accessories that I just had to share. All are available on Etsy and all of them get excellent reviews. I love shopping small businesses! So I never even new baby gyms were a thing!? But now that I've discovered them, I'm absolutely in love. These small wooden play structures are a perfect for filling a little play space in your nursery. I found this adorable baby gym accessory set by BPBoutiqueShop in my Etsy hunt and I just love the leaf, cactus, and teepee. It's not just your typical shapes or animals handing from a string. The beads and loops tie it all together and the stitching gives it that handmade feel. 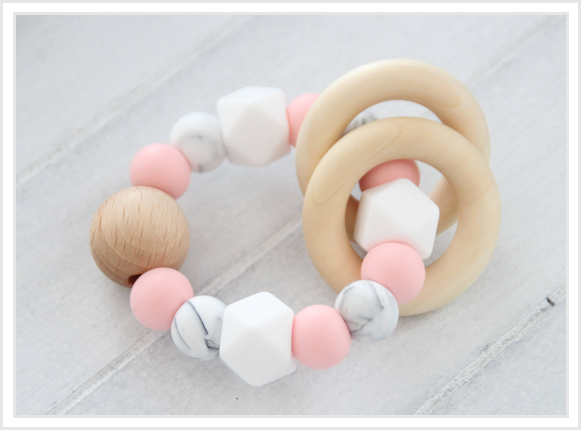 So I have to admit that my Pinterest board is full of these natural baby teethers. I love how the pinks and grey's are balanced out by the soft light wood. So far, this baby teether by Zane's Crotchet Treasure is my favorite design. The mix of round and shaped beads is just perfect! If you've been on the hunt for the perfect baby shower gift, look no further than Little Highbury. 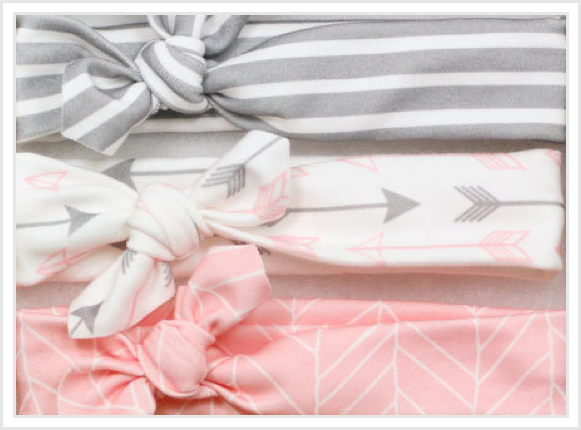 These pink & grey headbands are just adorable and they look so soft and stretchy. I've been scoping out this shop for a while now just waiting for that next baby girl to come along so that I can purchase some of these! You have to check out her shop for even more colors and patterns. Looking for something super practical? I found this adorable Pink & white bib from Hiku Designs which not only has a beautiful soft fabric, but it's bamboo terry cloth holds it's shape after several washes and has anti-bacterial properties. I love putting together little gift sets for a new mom and this one is a must! And last but not least, my very Pink Elephant print. I love making custom art for the little ones. Each time I make a custom print, I get to hear the story behind the name and bring it to life with one of the animals from the GoodnightFox Collection. Elephant is one of my all time favorites! So there you have it! 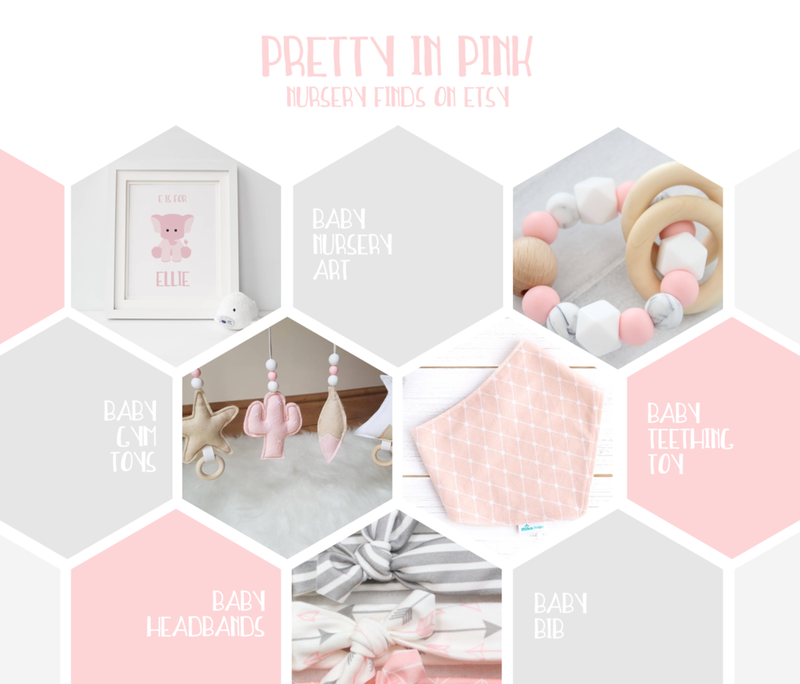 5 adorable finds for the new mom of a new baby girl. If you dig around, you really can't go wrong by purchasing gifts from small business owners on Etsy. And who doesn't love a great gift set from the folks that work so hard on their handmade items.